Your wedding ring is not just a simple piece of jewelry. Leaving aside the often hefty price of such a piece, there’s a lot of symbolism and meaningfulness behind a ring – and that is more important than anything. Under these circumstances, you definitely want to take care of your ring as well as you can – and we are here to help you. Read on and find out the best tips on how to maintain your ring so that it lasts a lifetime! Be sure to insure it. 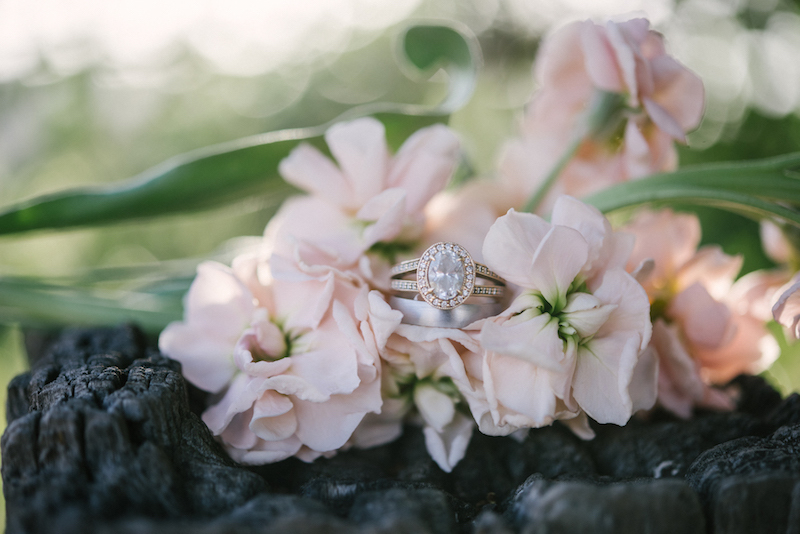 Engagement and wedding ring insurance doesn’t cost a fortune – it is quite affordable actually, and it can genuinely save you from a lot of trouble. Do a bit of research and insure your engagement​ ring to make sure it will be protected for years to come! Have it checked often. Have your rings checked regularly. Sometimes, hardly noticeable issues could very rapidly grow into really big problems – so it is really best to have the ring checked at least once a year.​ If you notice any rattling of the center stone which would indicate that it is loose​, make sure to have it analyzed by a professional ​jeweler that you trust​ as soon as possible. Clean it often. If you want your ring to sparkle like new​, remember that it is very important to clean it. Don’t use any kind of abrasive materials or products on it! ​Mix w​arm water​ with a little dishwashing soap ​and soak for 20 minutes, you can also use a very soft toothbrush ​to get into all of the hard spots​, rinse under running water and your ring will sparkle like new. Stay away from harsh activities. Planning to work around the house? Or maybe go​ rock​ climbing? Best leave your wedding rings at home, in a soft ​and safe ​place. You may think diamonds are the hardest materials on Earth, but they can chip very easily when you strike them at the “right” angle. Keep your rings safe at home whenever you plan on working with your hands. Stay away from drains. We know you want to wear​ your ring and not risk losing it when you are washing your hands or doing the dishes​. Dropping your precious heirloom down a drain would be devastating. A great tip is to store your ​ring in between your lips. We bet you won’t forget where you put it or lose it in the dark abyss. Keep it free from lotion, sunscreen​,​ and perfume. It’s a good idea to take your ​r​ing off before you put ​product on. These products can ​dirty​ up your diamond and even etch colored gemstones. Your rings are more precious than their price tag. They are ​the​ powerful symbol of love and commitment ​you made to each other​– take care of them and you will enjoy their beauty and ​sentiment​ for the many decades to come!